MACON, Ill. – Casey’s General Store teamed up with Macon Speedway for Casey’s General Stores/Armed Forces Night at the legendary fifth-mile high-banked oval on Saturday, May 31, when fans and soldiers can take advantage of special pricing on general admission tickets. 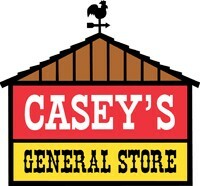 Vouchers for $2 off admission are available at participating Decatur area Casey’s General Stores, and each participating store has a drawing for two free tickets to Casey’s General Stores/Armed Forces Night. Also, military personnel with an ID receive are admitted free. Casey’s, Famous for pizza. The message can be seen on the backstretch billboard, but Casey’s will remind Macon Speedway race fans the convenience store is the nation’s fifth-largest pizza chain when Pepperoni Pete makes an appearance at the track. Casey’s personnel will also help race fans spin the lucky wheel for prizes. Merchandise will also be distributed during intermission. Looking forward on the Macon Speedway schedule, IHOP Night and the Nevitt Memorial faster pastor race is June 7, when the POWRi midgets return during POWRi Speed Week and the POWRi Outlaw Micros run against the Beach House Mini-Sprints. The Nevitt Memorial is named after B.G Nevitt, the defending race champion who passed away last summer. On July 14, the Mueller Distributing Lite Beer Twin 50’s for late models and modifieds thrills fans. Heinkel’s Three Dog Night on July 21 will feature hot dog specials and a hot dog eating contest. It’s also Bud Light Ladies Night, as the gals from Woody’s will race in Stock Hornets.